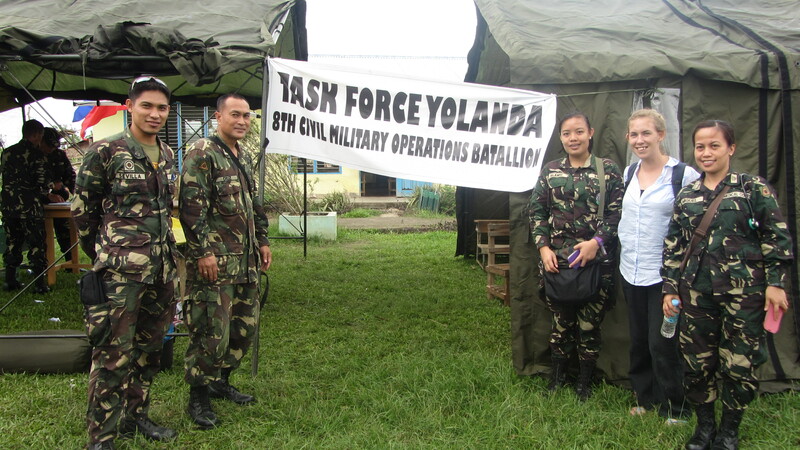 In December, following Typhoon Yolanda, one of our missionaries from Abundant asked permission to travel to Tacloban to help with relief efforts. 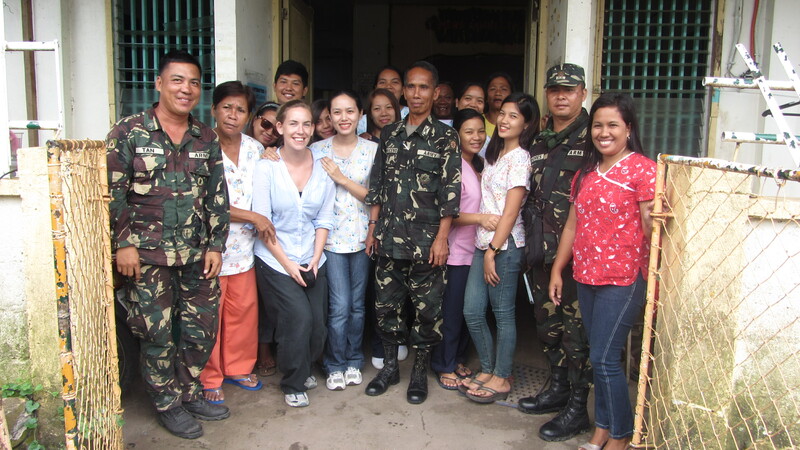 Here the first-hand account of an amazing experience Aisling had while in the Disaster Zone! Aisling Lynch with fellow relief workers. 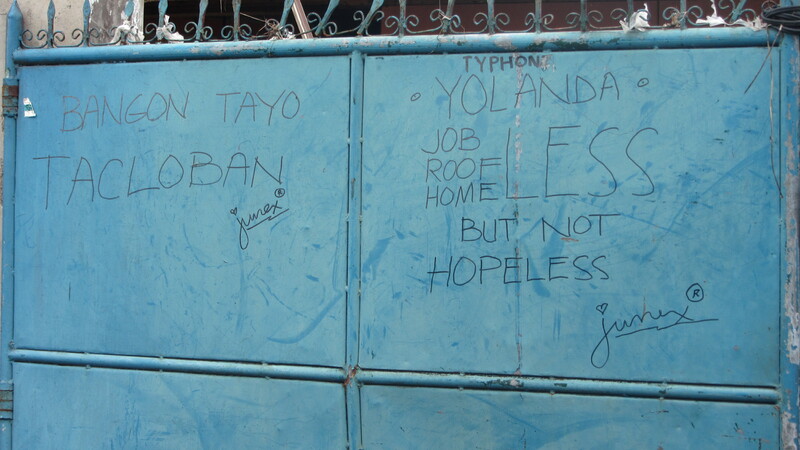 I went to Tacloban to help in the aftermath of Typhoon Haiyan (known locally as ‘Yolanda’). The following experience is one that has stuck in my memory and I think it always will. We arrived at the hospital with a young man from the community I was living in, he was severely malnourished as he had not been able to get food since the typhoon hit, that was almost 2 weeks ago. The hospital had a long line of people, about 300 I estimated, sitting outside the emergency room waiting patiently to be assessed. Outside the hospital waiting to help survivors. 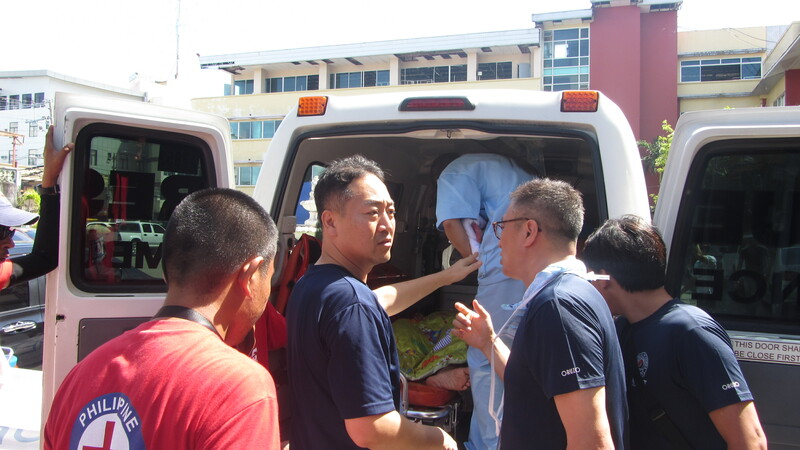 The Korean medical team that were assessing our guy were trying to arrange to refer him onto a medical ship that was docked just outside the harbour of Tacloban City. While we were waiting for information on his transfer, there was suddenly commotion, a stretcher appeared out of nowhere was was been wheeled at a run by the orderly. The Korean medical team were blocking the entrance door and repeating “No, no, don’t bring her inside, we have no OB/GYN on our team”. It was pretty obvious there was a woman in labour outside so I identified myself as a midwife and offered to help if she was pushing and there was no time to transport her somewhere else. Myself and the medical team ran outside and sure enough there was a tricy with a woman, her family and a screaming newborn tucked up inside. The baby was pink, crying and had great tone so we congratulated the family and tricy driver on a successful delivery and put the mother and baby on the stretcher to be brought inside for a closer look. Once inside I got to the business of assessing the woman for blood loss and seeing if the placenta had delivered. I’m not sure exactly how this happened, but I think I went into ‘autopilot’ mode and took control of the medical team. Because we were unsure of the woman’s blood loss I asked immediately for her to be put on an IV of dextrose or whatever they had available (understandably in a disaster zone supplies are limited), then I got ready to deliver what I thought to be the placenta that was visible. But the minute I touched it, I realised it did not feel like any placenta I had ever touched before. It was at that moment I realised the placenta was on the blanket so what I actually had my hands on was the woman’s uterus. There were still some membranes trailing so I twisted these out and then quickly checked the placenta was complete, it was. I remember looking to one of the medical team who was a surgeon and telling him the woman had a prolapsed uterus. He looked at me and asked what do we do with it. I admitted that I had never handled this kind of situation before but to the best of my knowledge we just need to put it back in. His answer was “well, go on then!”. So with a deep breath and shaky hands I got down to the business of replacing this woman’s uterus back inside to its rightful place. It was surprisingly easy and when I was pretty sure it was back where it was meant to be I stood back and observed just to make sure it stayed put, it thankfully did. Baby at this stage had been looked over and wrapped up in a blanket, he was then brought over to his mum and started breastfeeding immediately. In the space of less than 5 minutes, everyone was stable and happy. It was the strangest feeling having people come over to say thanks. The entire medical team came over one-by-one to say thank-you to me. To be honest, it was a great feeling! This experience thought me so much; that a cool head in an intense situation is invaluable, that I can trust in my knowledge to guide me in medical emergencies and that good team-work can be achieved through clear communication, even if you have never before met the people you are working with. Mother and baby got transferred to a nearby hospital that had OB/GYN on their team and from what I heard, both mother and baby were fine. All in all, a fantastic outcome for everyone involved!